Jennifer focuses her practice on the defense of asbestos and toxic tort claims, including the defense of products and premises liability claims arising from occupational and environmental exposures. Her practice includes a special emphasis in representing companies not traditionally involved in asbestos litigation. 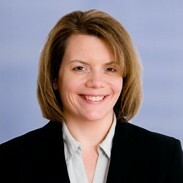 She has also represented corporate defendants in grain contract defaults and other disputes before the National Grain and Feed Association. From 1996 to 2002, Jennifer practiced in Heyl Royster's Edwardsville office where she handled the defense of a variety of cases, including insurance defense, products liability, professional liability and toxic tort matters. From 2003 to 2006, Jennifer practiced law in Memphis, TN, where her practice focused on the representation of employers and management in employment and labor matters. During her time in Tennessee, Jennifer presented several seminars on employment law-related issues. Jennifer returned to Heyl Royster as an Of Counsel attorney in 2007, and became a partner with the firm in 2013. On January 1, 2019, Jennifer was appointed to the Illinois Supreme Court Rules committee for a three year term. This committee studies and recommends new supreme court rules or modifications to existing rules. Jennifer serves on the Madison County Bar Association's Student Internship Committee, which provides high school students legal internship opportunities. She also serves on the firm's Diversity Committee. Eduard Alexander Gutierrez v. Nathan Etters 07 L 20, Franklin County, IL Plaintiff claimed permanent bilateral knee injury from this auto accident, in which defendant admitted liability for the accident but denied the damages. VanHoose v. Phillip Environmental Structural Work Act case involving whether client provided an unsafe workplace when plaintiff used a man lift to move a steel plate, and whether our client was "in charge of plaintiff's work;" trial lasted 5 days. The result was plaintiff's verdict - 90% fault of third party defendant, 3% to property owner and 7% to our client, a subcontractor on the premises. Brown v. Crabtree Auto/pedestrian collision case involving catastrophic injuries to plaintiff. Result was plaintiff's verdict, reduced by 50% for plaintiff's contributory negligence. Net award was $750,000. Case was tried on a high/low agreement, this number fell within that range.